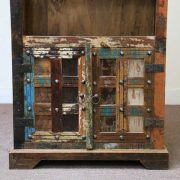 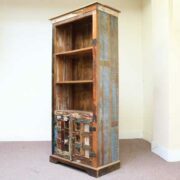 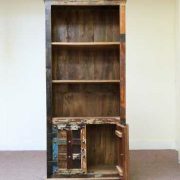 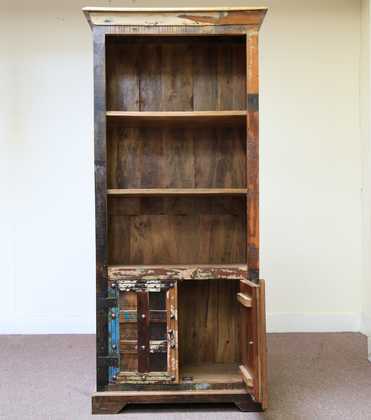 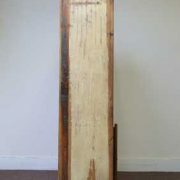 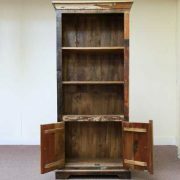 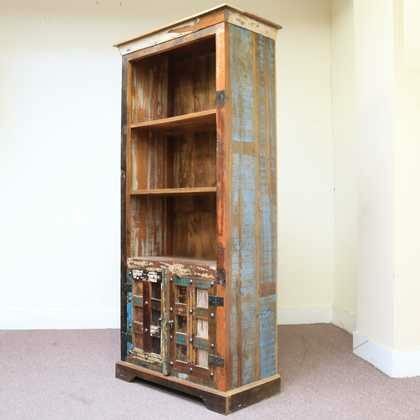 Freestanding reclaimed bookcase with rustic cupboard. 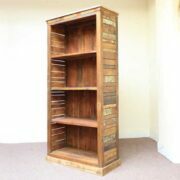 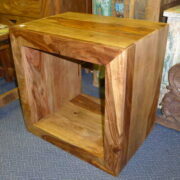 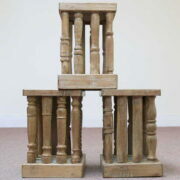 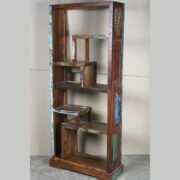 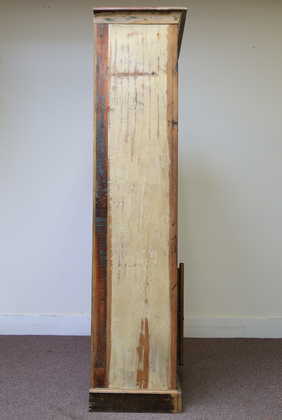 A rustic freestanding bookcase unit with two shelves above a cupboard. 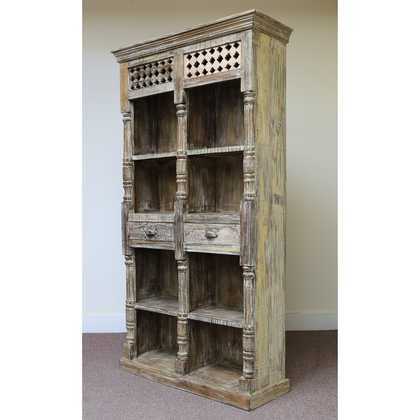 The cupboard doors have a pleasing panel pattern with studded edging. 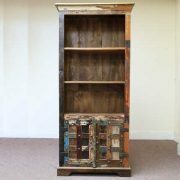 The whole unit has been painted in mixed distressed pastels. 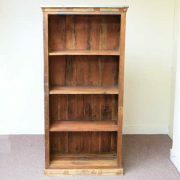 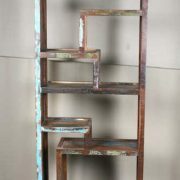 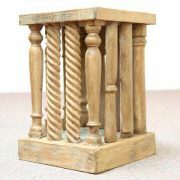 The bookcase has a lovely warm feel to it, and would make a fabulous display cabinet for books or other knick knacks.